This thesis starts with a literature review on host responses in Tuberculosis (TB) and how recent findings regarding Type 1 interferon responses and Th17 immunity fit within the current paradigm. 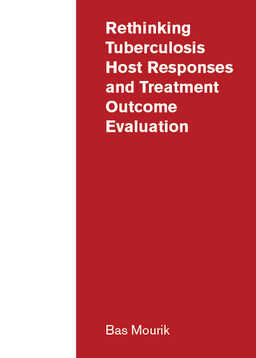 In the next chapter we evaluate host responses against the laboratory Mycobacterium tuberculosis strain H37Rv compared to two recent clinical isolates Beijing-1585 and EAI-1625 in a mouse TB model. The clinical strains induced markedly different immune responses. In chapter 3 antibiotic treatment was compared with antibiotic treatment combined with immunotherapy consisting of various macrophage stimulators in a mouse TB model. The main finding was that immunotherapy has the potential to improve treatment outcome. In the last two chapters we validated our mouse TB model in order to increase its translational value. Important findings include that bactericidal activity is not predictive for treatment outcome in mouse TB models and that combining observational data with mathematical modelling can enable more accurate prediction of a regimen’s treatment shortening potential.